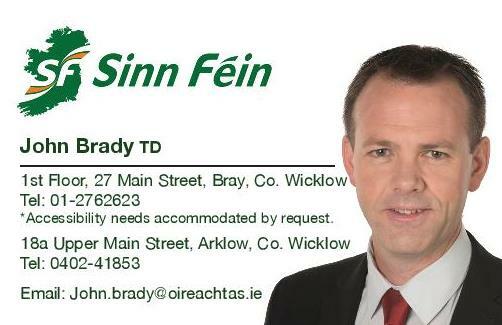 Sinn Féin TD for Wicklow/East Carlow John Brady has expressed anger and disappointment that the long awaited upgrade works due to take place on the N81 have been suspended and will not now be carried out. “I was informed today that the N81 from Tallaght to Hollywood Cross road improvement scheme is currently suspended and that the project is not included in the Government’s Capital Investment Plan which provides the financial and strategic framework for Transport Infrastructure Irelands activities until 2021. Therefore the N81 is now not included in the national roads programme. Is there a public meet planned - what can we do on the ground. Concerned West Wicklow N81 commuter ! Must we wait for even more death and carnage on this 1900s fit for purpose route. Hi, I have organised a public meeting on the issue, it will take place on Tues 6th Feb in St Kevin’s Hall in Blessington at 7.30. Your more than welcome to come along.